A Star is Born?? Who am I to Argue?? Yesterday, our nephew and wife came to visit midday. 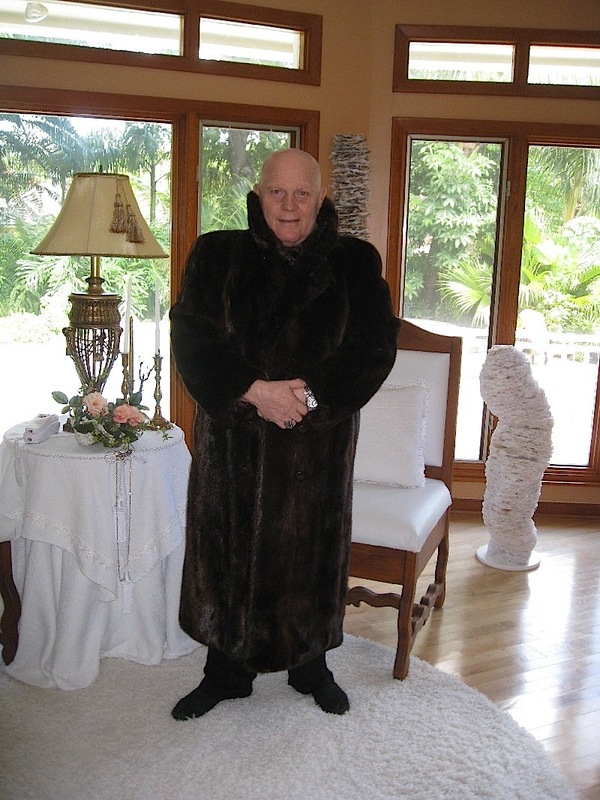 Just as soon as he was in the door and saw my newly clipped bald head, he asked if I had a mink coat. I answered that I didn’t have a mink coat, but from the years you could wear fur I have a beautiful long hair otter hidden in my closet. He asked if I would get it, put it on and make sure I had the color up and the coat entirely closed so they couldn’t see my black and green t-shirt! 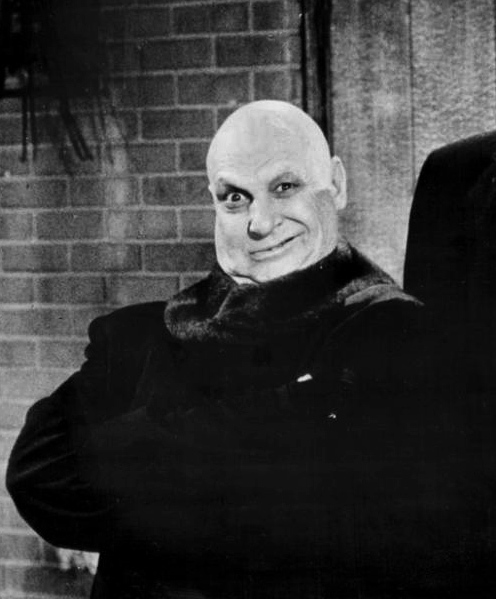 As I walked into the Great Room, he called out with much excitement that he was right, that I looked like a twin of Uncle Festus from The Adams Family. I looked a little strange and asked what made the difference if I did and why such a big smile on his face. He explained that he wanted to take a photo of me and then post it so that the photo became viral through the ability of internet sharing. This was all new and different to me. I am usually behind in internet terms and told him since he was so excited that he could take the picture. He and M. disagreed where I should stand for the photo. Each took a photo. He used M’s photo. Yesterday at noon he had 30 original connections. This morning by 7:00 a.m. he sent me many text messages to bring me up to date. He then had 2500 new connections and the photo had already been tagged as the most popular on Twitter. Speechless, I read connections like Paris Hilton, Piers Morgan, Ben Stiller, Jimmy Fallon and many others. In one of his last text to me he said I had become a “Star”! Judy Garland did a lot more than that in the movie “A Star is Born” for career recognition, but I must say she did not have my sweet nephew, nor was Twitter there for her!! So again, who am I to argue if stardom comes to me!! Posted on September 29, 2013 September 30, 2013 by suntithenaiPosted in StardomTagged fame, fortune, Uncle Festus.